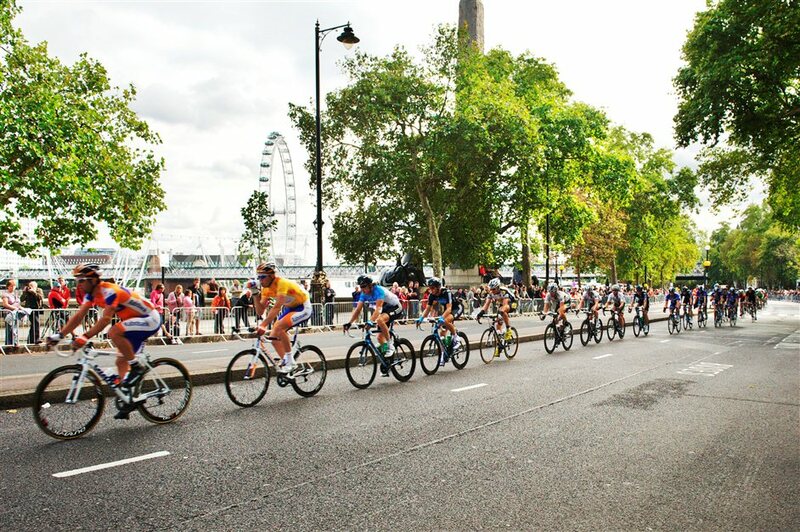 See the world's best cyclists battle it out at the Prudential RideLondon-Surrey Classic on the last Sunday of July. Britain's biggest one-day bike race will see 120 of the world's top pro cyclists take on a 200km route through London and Surrey. The race pits 20 teams of six riders against one another, starting on Horse Guards Road in St James's Park, heading west through the capital, past Richmond Park, out to the Surrey Hills via Dorking and up Leith Hill, the highest point in Surrey before circling back to end on The Mall in front of Buckingham Palace. For spectators, there's a huge variety of great vantage points from where you can support your cycling heroes along the way. A good option is to head to the start area on Horse Guards Parade next to St James's Park where you can see the pro riders signing in. The race will also be televised live on the BBC and shown on a big screen in Green Park. What are the best dining options near Prudential RideLondon Classic London? Prudential RideLondon Classic gyms, sporting activities, health & beauty and fitness. The best pubs near London Prudential RideLondon Classic. Prudential RideLondon Classic clubs, bars, cabaret nights, casinos and interesting nightlife. Where to have your meeting, conference, exhibition, private dining or training course near Prudential RideLondon Classic. From cheap budget accommodation to luxury 5 star hotels see our deals for The Mall hotels, including The Stafford London Hotel from 96% off.